We provide also the finest quality of Cotton Table runners that comes in many color combinations. As per client’s specifications, we also provide customized range of Cotton Table Runners in various style, color and design. These are available at market competitive prices. They’re a great way to dress up your kitchen or dining room table and keep things clean. Table Runners are not only for dining tables but also on end tables, side tables, buffets, tea carts and coffee tables. If you have a wooden table and want the wood to keep your main event then choose just a Table runner without a tablecloth. In addition, you can use a table runner for both formal and informal settings to bring texture, color, and an interest to your table. We manufacture fully customized products. We are a leading wholesale wedding cotton Table Runners manufacturers in India. We are also embroidered table runners, burlap table runners wholesale suppliers. Actually, Table Runner is one of the most important home furnishing products. We are home furnishing products manufacturers and exporters in India. The Export World is also wholesale home furnishing items suppliers and manufacturers. We also provide the finest quality of Cotton Table runners that come in many color combinations. We also provide customized range of Cotton Table Runners in various styles and colors. They are a great way to dress up your kitchen or dining room table and keep things clean. Table Runners are not only for dining tables but also on end tables, side tables and coffee tables. If you have a wooden table and want the wood to keep your main event then choose just a Table runner without a table cloth. Basically, you can use a table runner for both formal and informal settings to bring texture, color, and an interest to your table. Generally, you can use a runner on table with a tablecloth. You have a wooden table and want the wood to be your main event consider using just a table runner. Table runner may be use for both formal and informal settings to bring color and texture to your table. We can use table runners to celebrate special occasions or specials festivals. A table runner can drop and hang over the sides of the table. Generally, you can use a runner on table with a tablecloth. In case that you have a wooden table and want the wood to be your main event consider using just a table runner. On the other hand, Table runner is used for both formal and informal settings to bring color and texture to your table. A table runner can drop and hang over the sides of the table. 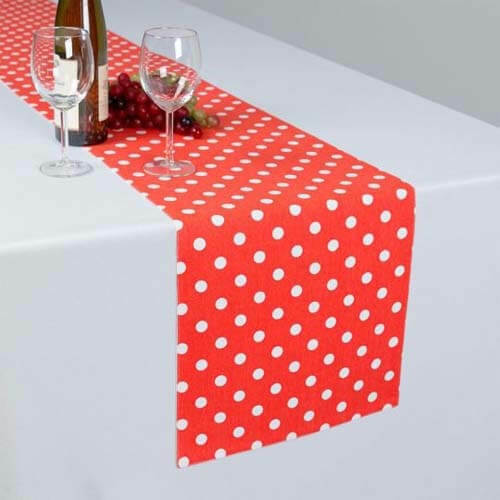 If you are using tablecloth along with the table runner, the runner should not drop down before the tablecloth. A table runner can use across the table and along the length of the table where they crisscross each other with a centerpiece in the middle. Above all, We are also fully customized cotton table runner wholesale manufacturers and supplier from India. We are also black and white table runners wholesale suppliers. The Export World is a wholesale wedding satin table runners wholesale suppliers in India. 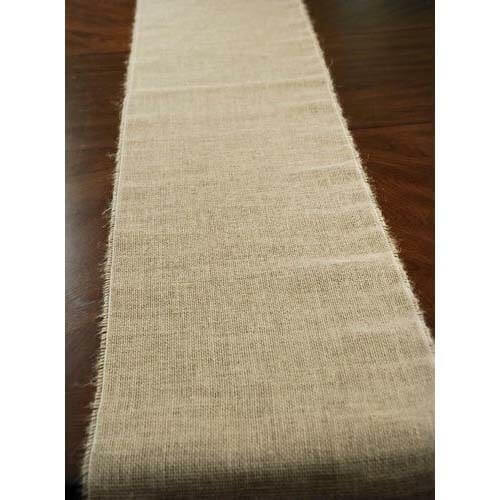 We are also burlap satin table runners wholesale manufacturers.